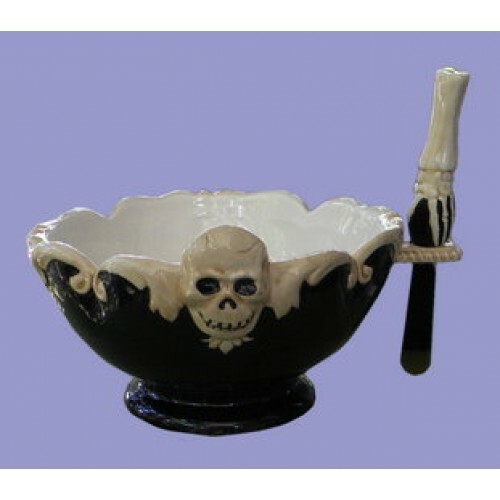 Ceramic "Gothic" Bowl with Spreader-Knife is 3.5" H. x 6.25" Rd.-- and is elegant, yet spooky. Spreader-Knife has Ceramic "Arm & Bony Hand" as Handle. Add $5.00 for Name.